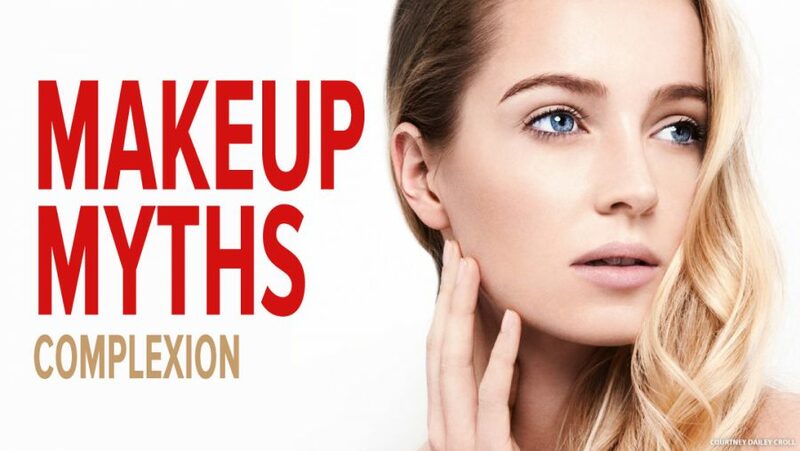 How often do I hear makeup myths based on misinformation? The internet offers an abundance of makeup information. It also offers lots of MIS-information (thank you YouTube and Instagram), which perpetuates makeup myths. In this installment of the #MakeupMyths series, we look at the right and wrong ways to create your best complexion. Your foundation shade should match YOUR NECK. Your face needs to match the skin that is directly below it – or you’ll look like you’re wearing a mask. Q: Why is the skin on your face often a different color than your neck/body? A: The skin on our face and hands are exposed to far more environmental stress (UV damage, weather conditions, pollution, etc.) than any other parts of our body. Because of this, they tend to be slightly different in color (depth or tone) and do not always match our neck or the rest of our body. The best place to check for correct foundation match is the neck, just below the jawline. Swipe foundation (with your finger), full strength, from your jawline (an inch or two in front of your ear) down to your neck. DO NOT BLEND – the foundation needs to match perfectly without being sheared out. Once you find a shade you feel best matches the color depth and undertone of your neck, it’s time for the Final Test. Apply the foundation, full strength to your chin. Now, look straight on, into a mirror. If you’ve chosen the correct foundation shade, there should be no visible demarcation and the color of your chin should blend seamlessly with the adjoining skin on your neck (which has no foundation on it). If you want to look tan, use a darker foundation. Absolutely not, it doesn’t make you look tan, it makes you look like you’re wearing the wrong color foundation. If I had a dollar for every time I’ve seen foundation improperly used to “darken” skin…I’d have A LOT of dollars! And don’t think you’re fooling anyone with this “trick”, it doesn’t look like a tan, it looks like badly matched foundation. And there’s always that unattractive line where the deeper foundation ends and your natural skin color begins. The only way to effectively deepen your skin-tone with a foundation is to cover every exposed area of your body (face, neck, ears, hands, etc.) so it all matches…which is time-consuming, wastes a ton of product, stains clothing, and frankly, looks strange. although I REALLY dislike the fake-baked orange color of most self-tanners (hear that Donald?). If you MUST do self-tanner, find a specialist who custom blends spray-tan colors to compliment your natural skin undertone. To simulate a NATURAL tan appearance, use a powder or cream bronzer and apply it at the high points of your face (along with the hairline, tops of cheeks, bridge of the nose, chin, etc.). These are the areas of the face that the sun hits first, naturally. I prefer a cream bronzer because it provides a more skin-like appearance. Milk Makeup Matte Bronzer or Charlotte Tilbury Beach Stick provides a natural looking temporary sun-kissed glow. If you have under-eye darkness, use a concealer one shade lighter than your foundation to disguise it. A lighter color will not hide the darkness, it will accentuate it and make it look worse. To disguise under-eye darkness effectively, your concealer should be an EXACT match in depth to your skin-tone (not lighter or darker). If you want to highlight the undereye area, do it after you’ve effectively covered the darkness. If the under-eye darkness is the result of chronic discoloration (not fatigue), you’ll want to use a color corrector to neutralize it (ex; yellow-orange colors neutralize violet-blue tones). My Color Correction Concealer post offers more in-depth info on this topic. 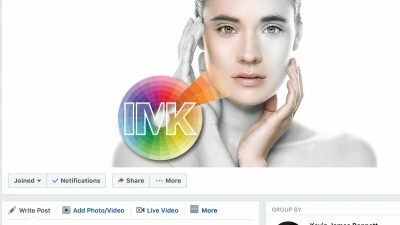 EXTRA CREDIT – ‘Color Correction‘ concealers can be used to address many skin discolorations (rosacea, hormonal masking, melasma, etc). Use bronzer to contour your face. Begin with a foundation 3 shades deeper, with the same undertone as the individual’s skin. Add the tiniest bit of pure black pigment (black iron oxide) in liquid or cream. BOOM – perfect personalized contour color! IMPORTANT: The deeper foundation shade MUST be the same undertone as the skin to achieve the perfect contour color. I understand that YouTube and Instagram beauty influencers need to constantly create “new” content, but PLEASE make sure the information you base your content on is accurate. Excellent article, thanks so much for sharing this information! This is information is absolutely golden. Thank you Kevin! Thank you for this . I always appreciate all your words. Instagram and YT have so many people on their claiming to be makeup artists and influencers I made sure I invested in my career to go to cosmetology AND makeup school so I know what’s right . We need people like you to help us all out.